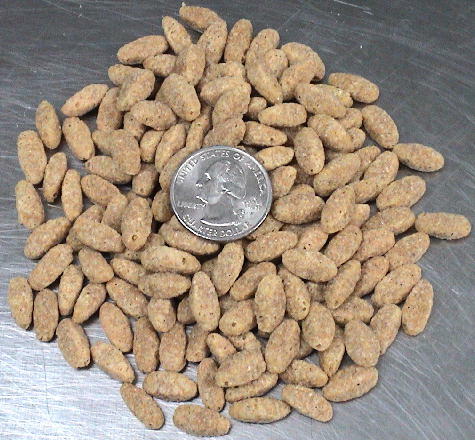 Organic Sprouted Pumpkin Seeds: 1/8 Pound. Contains a small amount of Himalayan Crystal Salt. The sprouting process used with these Pumpkin seeds involves soaking them for 24 hours causing them to begin to germinate. 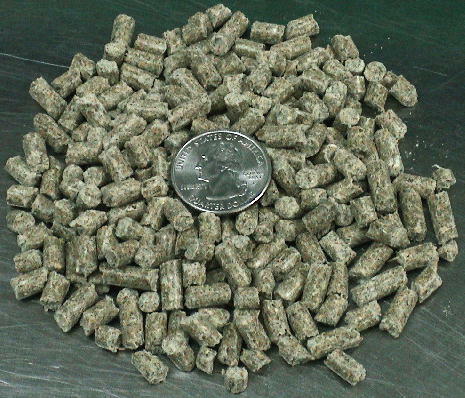 The seeds are then removed and slowly dried at a very low temperature with low humidity. 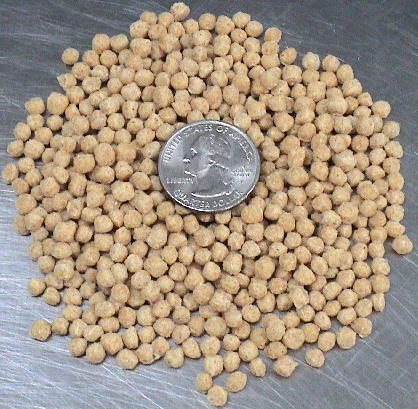 This slow drying process destroys the enzyme inhibitors, releasing the full nutritional content of the seed and allowing your bird's natural enzymes to more easily digest them. While much more time-consuming, sprouting makes these seeds more digestible, gives them much greater nutritional value! 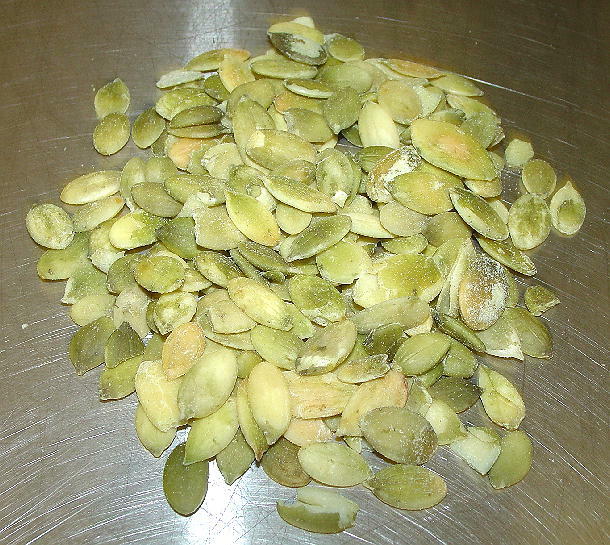 These are the highest quality, freshest Pumpkin Seeds we can find! 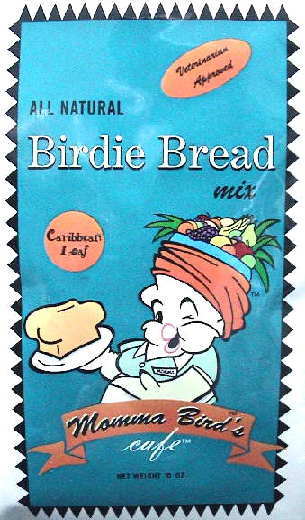 They are an excellent treat (when given in moderation) that most species of birds love! Pumpkin Seeds are a good source of Vitamin A, Vitamin C, Vitamin K, Calcium and Iron. Pumpkin Seeds have been shown to have anti-inflammatory (anti-itch) properties. They are a rich source of healthful minerals, protein and Monosaturated fat. 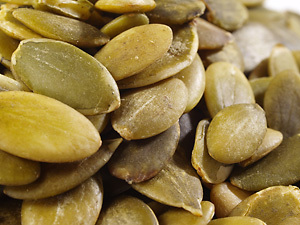 Pumpkin Seed Phytosterols have been shown to lower cholesterol! We also carry Organic Sprouted Sunflower Seeds which you can view by clicking on the underlined link.